For many years, I’ve been challenged and inspired by the work of Elliott Sharp, who has etched a place as one of America’s most dynamic modern composers. He’s hard to pin down both musically and literally, since he regularly travels the world for performance, recording, commissions, and likely a bit of leisure, too. Some of the artists that he has worked with include Debbie Harry (Blondie), Kronos Quartet, guitarist Vernon Reid, poet Allen Ginsberg, actor Steve Buscemi, violin virtuoso Hilary Hahn, pianist Cecil Taylor, as well as Nusrat Fateh Ali Khan, Hubert Sumlin, Jack DeJohnette, Sonny Sharrock, Christian Marclay, and Bachir Attar. How does he accomplish so much? Is he really human or is he a superhero of music? So I asked him. Straight up. How does one become Elliott Sharp? What follows is a strange, wonderful journey into the world of a mad musician, composer, instrument builder and closet scientist. This is E# unfettered. 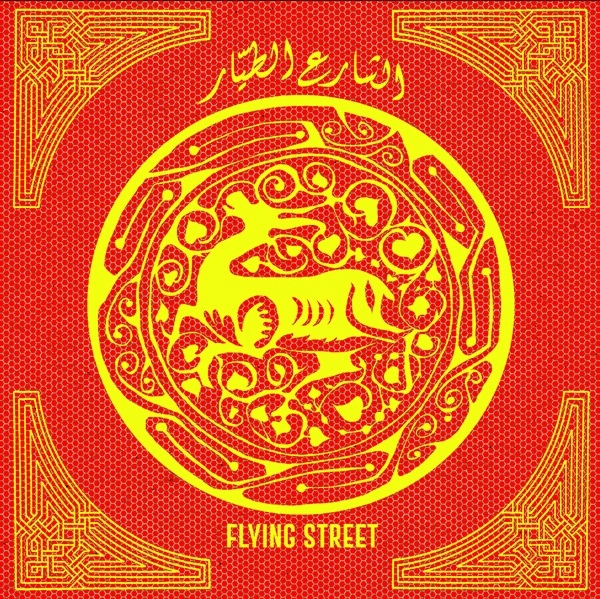 Two of Montréal´s most mindful, pianist Stefan Christoff and oudist (for this occasion) Sam Shalabi, meet on Flying Street, in what proves to be a demonstration of true mutual sensitivity. The “mother instruments” of their respective traditions, each freighted with history and conceits, reach out with confidence toward one another. Fingers paint mehndi tattoos on the others hands, palms and forearms, becoming increasingly arabesque as they intertwine on “Elephantine”. Shalabi scales the façades lining “Flying Street”, while Christoff is already very, very blue by the time the former joins him on “Blue Soon”, an elaborate, night-gathering metric that curls itself into a poem. The paradigm for inquiry is a psychological one – understanding the mind, in tandem, the mind of the other, when successful to such a degree that you can taste the sublime and dissolve the self into a superself. “Revolution in Orbit”, at fifteen minutes double the length of each preceding piece, is downright photovoltaic, rooster-tailing sparks as Christoff and Shalabi gather electricity in the radiant energy of pure propulsion. Chicago is usually considered to be the cultural magnet that brings some of the world’s most adventurous musicians to neighboring midwestern cities. But sometimes Chicago is piggybacking off of its neighbors. Every October Ann Arbor, Michigan, becomes a draw for progressive jazz and improvised music when the annual Edgefest occurs at the Kerrytown Concert House—the five-day extravaganza began on Tuesday and winds down tomorrow. We’re getting plenty of runoff, whether it’s the performance by Tomas Fujiwara’s trio that took place this past Wednesday or tomorrow’s concert by Tim Berne‘s new quartet Decay. On Monday saxophonist Ingrid Laubrock and drummer Andrew Drury will perform at Experimental Sound Studio as part of the weekly Option series—the latter’s quartet Content Provider, with Laubrock, fellow saxophonist Briggan Krauss, and guitarist Brandon Seabrook, played Edgefest on Thursday. The Bridge is coming to the Windy City in a week with not one but two French American ensembles.